This is the discussion thread for Week of December 23, 2018 – New Fanedit Releases. Post away! This final week of December sees the release of two fanedits. 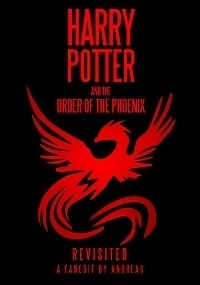 Harry Potter and the Order of the Phoenix: Revisited by Andreas – Order of the Phoenix is actually one of my favorite HP movies, alongside Prisoner of Azkaban. The movie is fast-paced, often intense, and it has big stakes for our characters. I think the movie’s biggest flaw is its feeling of complete dissonance from the rest of the series, feeling much less like a Harry Potter movie and much more like a drama/thriller piece. Therefore, my biggest priority has been to establish a greater connection between this and the rest of the series. 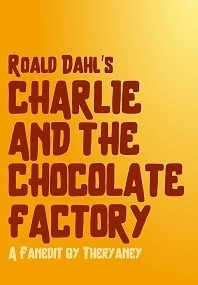 Roald Dahl’s Charlie and the Chocolate Factory by theryaney – Enjoy the Christmas spirit with a fanedit of the modern movie adaptation of the beloved Charlie and the Chocolate Factory by Roald Dahl! Faneditor theryaney has made a few changes to this family movie that includes a lengthy colour-correction of the film that portrays snow more realistically, the removal of Willy Wonka’s flashbacks and the entire subplot involving his childhood, and also an ending closer to the original book.